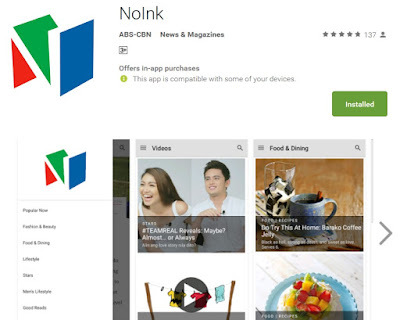 ABS-CBN Publishing recently launched its multimedia reading app NoInk last August, and to make its presence known to more Filipinos, the company has made a strategic partnership with MyPhone, wherein about two million MyPhone smartphones and devices will have the NoInk app pre-installed starting October this year. The contract signing was held at the Solstice Bistro at 8 Rockwell and graced by executives from both parties starting with ABS-CBN Publishing head Ernie Lopez and MySolid Technologies & Devices Corp., the makers of MyPhone, president David Lim, together with ABS-CBN Publishing managing director Mark Yambot, ABS-CBN Publishing digital business lead Jane Tan, MySolid Technologies & Devices Corp. vice president Kevin Tan, and MySolid Technologies & Devices marketing communications officer Patrick Cabusay. The NoInk app is a digital reading platform specifically tailored for subscribers who consume Philippine online contents related to lifestyle, celebrities, food and dining as well fashion and beauty. 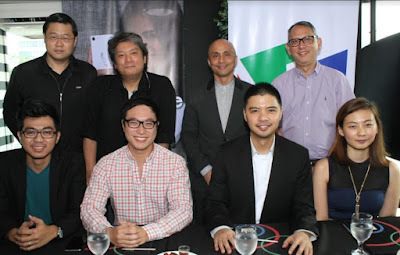 It contains most, if not all ABS-CBN publishing's magazines, such as Metro, Chalk, Home, Working Mom, Star Studio and Food, with copies as early as January 2015 up to the latest issue. There are also popular books listed with the likes of Stupid is Forever by Miriam Defensor Santiago, as well as other titles enhanced and re-purposed for more enjoyable reading. Moreover, there are exclusive autobiographies of popular and powerful personalities. To learn more, visit https://noink.abs-cbn.com/ or download the app on your Android or iOS devices.